Tomorrow, Tomorrow, the New Catalog Starts Tomorrow! It's Only a Day Away! Could you hear me singing that title to the tune from "Annie"? Can you tell I'm excited! Tomorrow evening my stampers will be coming to my house to pick up their brand-new copy of the 2010-2011 Idea Book & Catalog, and I can hardly wait!!! While we are all waiting, not very patiently, but waiting, here are the last five swaps from the New Catalog Pre-Order Swap I participated in using another popular set, "Friends Never Fade"! Dianne O'Connor used Greenhouse Gala DSP with Pear Pizazz and Chocolate Chip for this one! My cruise twin, Renee Watson, used Greenhouse Gala with a cool technique, Folded Paper Frame! Susie Wood used Greenhouse Gala also, but used the Pumpkin Pie/Daffodil Delight sheets! And finally, the last card of my swap, Amy Combs combined Greenhouse Gala, Pear Pizazz, Daffodil Delight, and Marina Mist 1/8" Taffeta ribbon! Tomorrow, Tomorrow, I will be back with the NEW CATALOG!!!!!! Until then, have a GREAT STAMPIN'ROX! DAY! Because I Care Sneak Peeks! Stampin' Up! sent every demo who pre-ordered the "New Color Kit" this gorgeous Level 1 Hostess Set, "Because I Care", and it was a very popular set used in the New Catalog Pre-order Swap I am continuing to show you today! ALL the samples shown use this set in one way or another! First, a beautiful version using Crumb Cake (formerly called "Kraft"! ), Pear Pizazz, & Marina Mist! If you look closely down by the "because I Care" greeting, you will see she used the flourish stamp from "Elements of Style", stamping Pear Pizazz on Pear Pizazz! Next, Jackie Ordway combined Peach Parfait, Newsprint Designer Paper, White Craft ink, and Early Espresso 1/8" taffeta ribbon! This beauty is an orphan card, it arrived with no name on it! Whoever it is certainly did a great job! I would hate not to be able to claim this one! Beverlee Morales used Crumb Cake and the Vintage Wallpaper Textured Impression Folder to create this fun card! An last but certainly not least, Ruth Anne Lilley masked the rectangle to sponge the Crumb Cake background for this one! I will be back tomorrow with swaps using "Friends Never Fade"! I am busily working on the Make n Takes and gifts for my New Catalog Open House on Thursday night and a Scrapbooking Bridal Luncheon on Friday, so gotta go for now! The boxes of new catalogs are here! Come to my New Catalog Open House & Ice Cream Sundae Buffet this Thursday, July 1st, from 5-8 p.m. to pick up your copy! Apple Blossoms Level 2 Hostess by Kelly Acheson also uses Bitty Buttons and the new Scallop Rectangle Clearlit! Another Playful Pieces Level 3 Hostess with the Scallop Rectangle Clearlit, this time by Karen Kurz. I actually thought at first she had used Trendy Trees, but it's Playful Pieces!!! Cool! Definitely a set worth having a $500 party to get! This is just the first 8 of my 20 swaps, but I'll be back tomorrow with more! New stamps to play with! Demonstrators get to pre-order specific items from the New Catalog (just another GREAT perk of being a SU! demo!). This is the one time of the year when they give us the opportunity to purchase Level 2 and Level 3 Hostess Sets, something we only get to do before the new BIG catalog starts! This card is my first creation with a fun new Level 2 Hostess Set called "Apple Blossoms"! This set has 8 very versatile stamps, 4 of which are used here. You can earn this set for FREE with a party of just $300 in sales! I'm filling my calendar for July, August, and September right now, so contact me and we can make this card at your party if you so choose AND you could get this set for free too! Pear Pizazz cardstock mat around the Greenhouse Gala DSP. Cajun Craze cardstock mat around the stamped "just a little note" focal piece. The flowers are stamped in Daffodil Delight & Cajun Craze ink. "just a little note" is stamped in Early Espresso ink. We will be making this card at my "Yes Ma'am's" monthly downline meeting tomorrow night! We try to get together every month to stamp, share ideas, and support each other! There's just a few more days left to sign up with the $99 Mini Starter Kit! Contact me if you would like to join the Stampin' Up! Demonstrator family! It's a fun way to make extra money for whatever dream or goal you may have! I've been able to take my a family member with me on SIX all-expenses-paid trips courtesy of Stampin' Up!, something I would have NEVER been able to do otherwise! With the new catalog getting ready to start on July 1st, it's a great time to start with Stampin' Up! I have a stamping-packed weekend ahead of me with three parties and a downline meeting, so I will see you all again on Monday with more NEW stuff! Until Monday, have a GREAT Stampin' Rox! weekend! Tags: Apple Blossoms, Cajun Craze, Crumb Cake, Daffodil Delight, Early Espresso, Greenhouse Gala Designer Series Paper, Pear Pizazz, Stampin' Up! The Final Three Quick & Cute! First up, "Best Wishes & More"! Bermuda Bay 8 1/2 x 11 cardstock SOLD OUT! And last-but-not-least, one of my all-time favs, Starring You! There you go! All the projects from my "Last Chance Quick & Cute Class!" To receive the class hand-out instructions FREE via email, just place ANY online order between now and June 30th! See ya tomorrow with a project using NEW catalog stuff! Have a GREAT Stampin' Rox! Day! Kaleidoscope Designer Paper was one of the first DSP's from the new catalog last July that I used for a project: covered steno pads for my downline attending convention with me! This paper is absolutely gorgeous, one page has a resplendent peacock! I found my inspiration from Ilina Crouse's sample on Stampin' Connection, an online resource exclusively for Stampin' Up! demonstrators, but I added my own "twists" to make it my own! Next one for today, Holiday Blitz! ALL online orders placed from now until June 30, 2010 will receive the class hand-out instructions emailed to them for FREE! Until tomorrow, have a GREAT Stampin' Rox! Day! More "Quick & Cute" cards! Oh boy, it sure does feel good to be back blogging! It makes me wonder why I ever don't blog! Here are three more cards from the Last Chance Quick & Cute Class this past weekend! First up, a set I just realized I had never inked up, Animal Crackers! Isn't this happy little giraffe adorable? Next up, "Wanted"! I have loved using this set for the past few years, and will miss it when it's gone! Remember you can order online at my Stampin' Up! 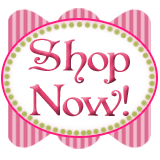 website anytime and have the stampin' supplies delivered straight to your door! All orders placed between now and June 30th will receive the class handout to make all 10 cards from my "Last Chance Quick & Cute" Class for free via email! Until tomorrow, have a GREAT Stampin' Rox Day! I know I need to apologize for the long absence of new posts here, but I ended up with a nasty sinus infection from my cold/flu in May, and it's just seemed to take me forever to get back on track! Ever have one of those months? But with the new catalog starting in just a little over a week, I'm all pumped up and ready to get going! I had my monthly Stamp-a-Stack here this past weekend. I called it "Last Chance Quick & Cute"! We used retiring stamps, colors, and accessories one more time! Some of these projects we will also be doing at my last 3 workshops this month, so if you missed this event at my house, you may still have a chance to make some of them! This first card uses "Just Baseball", "Sporting", and "Happy Everything" THREE retiring sets! Quick, cute, easy-peasy! This next one uses "Nursery Necessities". I will really miss this one, and the 3/4" Real Red Polka-Dot Grosgrain ribbon is on the Retiring Accessories list too at 50% off! Real Red 3/4" Polka-Dot ribbon #115608 was $8.95 NOW $4.48 for a 10 yard roll! This gorgeous wedding/anniversary card uses "Together Forever" and "Tres' Chic" background! Gable Green 8 1/2 x 11 cardstock SUPPLY EXHAUSTED! CAN NO LONGER BE ORDERED! SORRY! You can order the supplies to make these cards online at my Stampin' Up! website and they will be delivered direct to your door! ANY online order placed at my Stampin' Up! website from now until June 30th will receive the directions to make all the cards from my "Last Chance Quick & Cute" Class via email! That's all for today! If you aren't on my mailing list, be sure to sign up in the box on my sidebar. I just sent out an email this morning with all my classes listed through the end of July! I'll be back tomorrow with more cards from my "Quick & Cute" Class! Have a GREAT "Stampin' Rox" day!